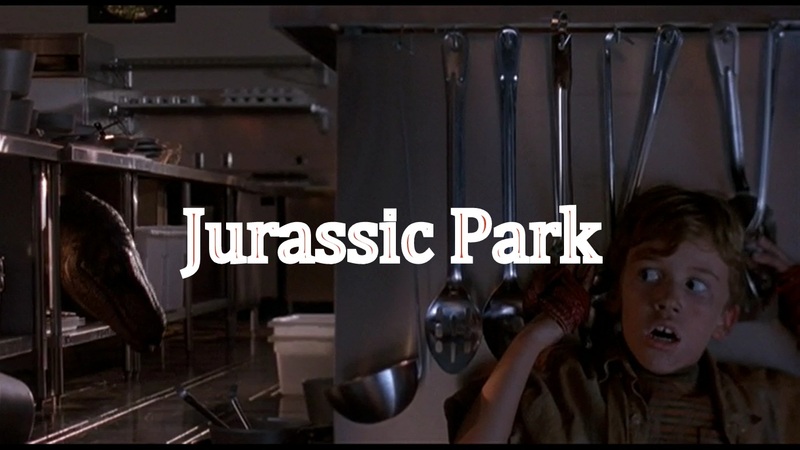 This week on Hit me with your best shot we go back to the summer of 1993, as we re-visit the Spielberg classic "Jurassic Park". 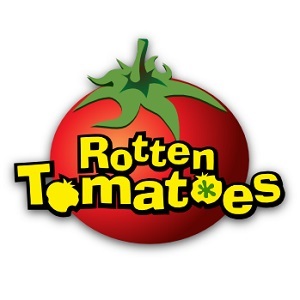 If you were watching movies in the 90s, you must have known about this film and chances are, you probably saw it (and loved it). Despite being a key film in my early childhood, I hadn't gone back to this film in at least a decade, so I was very excited when Nathaniel selected it. As expected, it brought back many memories. However, these memories weren't only about the film itself. Instead, I experienced an instant wave of nostalgia for the amusement park trips of my childhood and more recently, game drives in Southern Africa. In my younger days, my family went on summer vacation to Orlando almost every year and the film perfectly captures the excitement and wonder that accompanied these excursions. 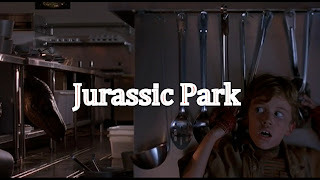 As I watched this film, I immediately fantasized about the potential awesomeness of a real-life Jurassic Park and how ridiculously profitable it would be (a sentiment that was later re-iterated by the greedy lawyer in the film). Of course, that excitement quickly went away when the park's security system fails and all hell breaks loose. With such amazing visual effects, there were definitely many options available for the purposes of this assignment. Even the scenes without dinosaurs are beautifully composed. As I narrowed down my choices, I decided to pick a shot that captures the immense terror of coming into contact with aggressive, carnivorous dinosaurs. One of the remarkable things about the film is how quickly the action gets going (i.e. it doesn't take long for the dinosaurs to appear and start attacking). As such, my favourite shot comes from quite an early part of the film, when things have suddenly taken a turn for the worst. As I mentioned earlier, the effects in this film are truly excellent and as a result, the dinosaurs are absolutely terrifying. For me, the actor that best captured the mood of the film was young Ariana Richards. In this scene, she lets out the most forceful scream of the entire film, screaming with every fiber of her being. You'd think she was using it as some sort of wall of defence! She spends most of the film in abject terror and her facial expressions are gold. In my opinion, she gives the most realistic performance of all the cast. I don't care if you're an archaeologist, paleontologist or whatever the case may be. When you come face-to-face with a T-Rex, all fascination, logic and pride goes out the window. You're likely to come very close to being "scared to death". "As I watched this film, I immediately fantasized about the potential awesomeness of a real-life Jurassic Park and how ridiculously profitable it would be"
Although personally, combining Jurassic Park with Westworld seems even MORE terrifying. Fun movie though, and good choice for best shot. Cool! Thanks for that link. If he miraculously got real dinosaurs, that would be insane. Of course, that won't happen. Oh man that really is a great shot. And the way Sam Neill reacts to it is just perfect. "He can't see us if we don't move!"